Rhapsody. 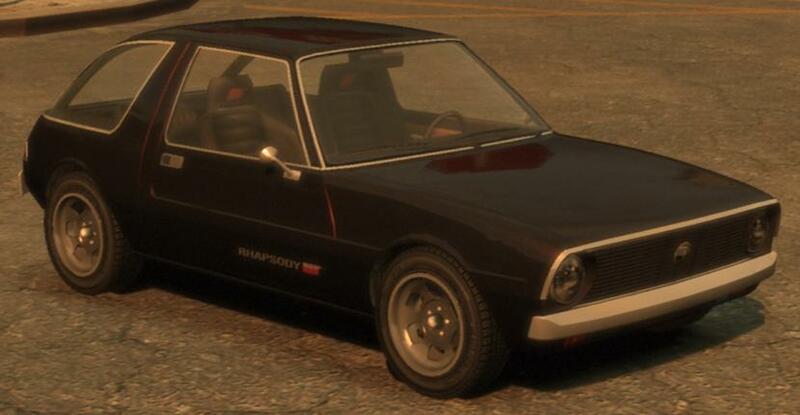 This is the Rhapsody Car, and is also a unique vehicle that आप can only obtain in Grand Theft Auto IV The लॉस्ट And Damned. Wallpaper and background images in the Grand Theft Auto IV The लॉस्ट And Damned club tagged: johnny klebitz clay simmons terry thorpe jim fitzgereald billy grey brian jeremy. This Grand Theft Auto IV The लॉस्ट And Damned photo contains कूप. There might also be पालकी, सैलून, सेडान, गर्म रॉड, गर्म छड़ी, गरम लोहे की छड़, कार, ​​ऑटो, ऑटोमोबाइल, मशीन, मोटर गाड़ी, ऑटो, and मोटर. Grand Theft Auto IV The लॉस्ट And Damned.